Triple jumper Arpinder Singh took home the bronze medal with a modest effort of 16.59m in the IAAF Continental Cup. 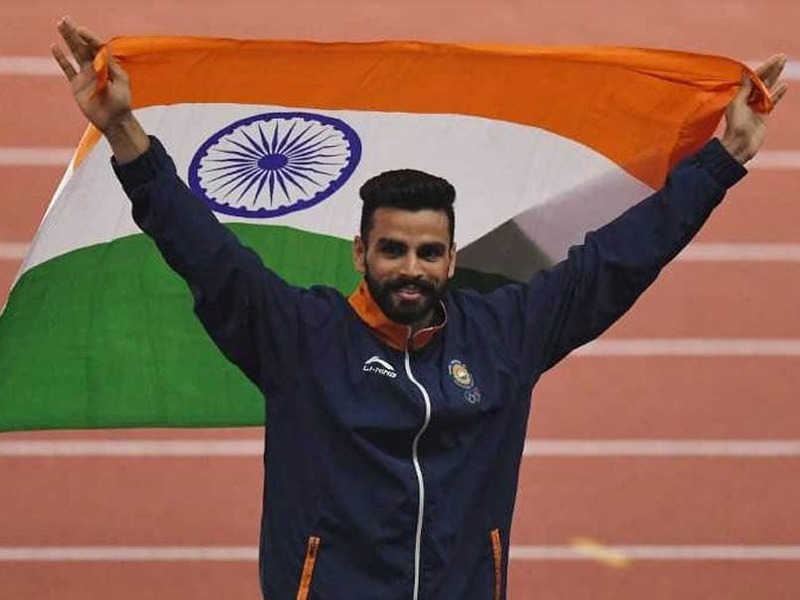 Triple jumper Arpinder Singh on Sunday created history by becoming the first Indian to win a medal in the IAAF Continental Cup as he clinched a bronze but star javelin thrower Neeraj Chopra finished sixth with a below-par show. Arpinder, who had won a gold in the Asian Games in Jakarta, cleared a modest 16.59m in the first of his three jumps to be in the four-man semifinals. He could only clear a 16.33m jump in his next attempt to miss out on the two-man final jump. Nonetheless, he collected a bronze. 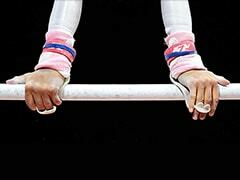 The 25-year-old Arpinder was representing the Asia-Pacific team in the meet, held once every four years. He had jumped 16.77m in Jakarta and has a personal best of 17.17m which he recorded in 2014. No Indian has ever won a medal in the Continental Cup which was known as the IAAF World Cup before 2010. Two top athletes from the four regions of Europe, Americas, Africa and Asia-Pacific were taking part in each of the 36 events in men and women sections taken together. Reigning Olympic and world champion Christian Taylor of the United States easily took the gold with a jump of 17.59m, which is one metre more than the best effort of Arpinder. The 28-year-old Taylor beat World University Games silver medallist Hugues Fabrice Zango of Burkina Faso, who cleared 17.02m, in the two-man final round. Taylor, who was representing the Americas, has a personal best of 18.21m. 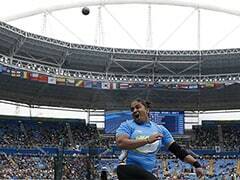 In men's javelin throw, reigning Commonwealth Games and Asian Games champion Neeraj finished a disappointing sixth in the eight-man field with a best of 80.24m from his three throws. Neeraj began with 80.24m and then could only clear 79.76m in his second attempt. His third throw was a foul attempt. This was Neeraj's worst international performance this season. He had a 80.81m in the Eugene leg of the Diamond League Series. In most of the other events, he has been consistently throwing above 85m. He had won the Asian Games gold with a national record throw of 88.06m last month. 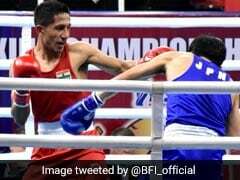 Reigning Olympic champion Thomas Roehler of Germany took the gold as he beat Neeraj's Asia-Pacific team-mate Chao-Tsun Cheng in the two-man final round. Cheng had a 81.81m while Roehler sent the spear to 87.07m to clinch the gold. In a change of format by the IAAF, the athletics world governing body, every competitor (in horizontal jumps and throws) was given three attempts. The best athlete from each team from these three rounds gets a chance to have the fourth throw. The top two performers from the fourth round will each have one more attempt and the performance in that fifth and final round will determine the winner. The new format was introduced this year with an aim to make the event more interesting. In men's 400m, national record holder Mohd. Anas ran with a good timing of 45.72 seconds but that was enough for a fifth-place finish. His Asia-Pacific team-mate Abdalelah Haroun of Qatar won the gold in 44.72. Haroun had won gold in the Asian Games in 44.89 while Anas had settled for a silver with a timing of 45.69m. In men's 1500m race, Jinson Johnson finished sixth, clocking 3 minute 41.72 seconds. He had won a gold in the Asian Games in this event with a time of 3:44.72. Johnson had also competed in the 800m race on Saturday, finishing seventh in an eight-man field. Sudha Singh, meanwhile, did not finish her women's 3000m steeplechase event. She had won a silver in the Asian Games. On Saturday, PU Chitra had finished a surprise fourth in women's 1500m race. She had won a bronze in this event in the Asian Games.